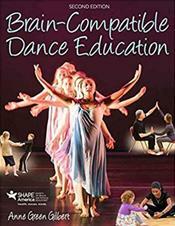 Anne Green Gilbert's Brain-Compatible Dance Education, Second Edition, strikes the perfect balance between hard science and practicality, making it an ideal resource for dance educators working with dancers of all ages and abilities. Gilbert presents the latest brain research and its implications for dance educators and dancers. She makes the research findings accessible and easy to digest, always connecting the science to the teaching and learning that takes place in classrooms and studios.